Developers use multisite feature a lot, as it’s a really powerful tool to build and host multiple websites for their clients. By installing WPMU just once on the server, developer (super administrator) can run as many websites as he wants. This is the same model that is used by WordPress.com network, which hosts millions of free sites with premium themes and plugins. set different user roles for site users: site admins or editors, authors, contributors, subscribers. Site admins have more capabilities than the site editors. They can choose plugin and themes from the already activated but can not install new ones which might break their site or your network. use one hosting provider for all sites. network which people can add their own sites for free or by paying a subscription. To make multisite network editing even more efficient and quick you can utilize WordPress plugins which work on multisite installation. WordPress Page Builder plugin is fully compatible with multisite network and simplifies the process of content editing. Plugin enables to edit website pages visually and structure their appearance simply by dragging and dropping content elements. MotoPress builder can be extended with developer’s custom shortcodes, so it’s easy to add your own objects and elements to your page. Super administrator can install the MotoPress editor and make it available for sub-sites, so all plugin features will be available for site admins. In such a way sub-sites owners can fully utilize the builder, create and customize website pages. If you want to hide the plugin, you can disable MotoPress for admins. When MotoPress is deactivated for some user groups they can’t utilize it. For example: the plugin is deactivated for editors on the image below. MotoPress like any other plugin can not be disabled for an individual site in WPMU. You can either install it or do not activate it, so sub-sites users activate the plugin for their single website by themselves. As a super administrator of WPMU you install the best plugins and themes on your clients’ websites, so admins use only high quality and up-to-date WordPress solutions. 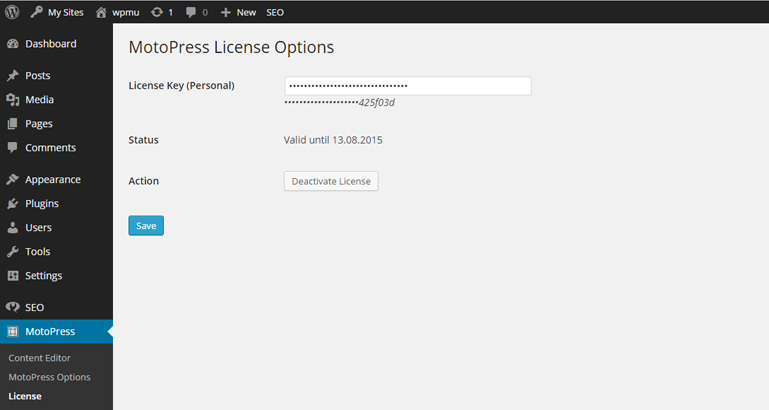 You can also use premium WordPress themes with the built-in MotoPress Visual Page Builder. All of them have been tested and are fully WPMU compatible, so provide a convenient way to customize your website. Themes can also be installed by the network administrator only, the developer can enable one theme for one single site. This option is very convenient if you are hosting sites for clients, so each website can have a unique theme. Enabling one theme per site means that other themes won’t be available for websites which haven’t enabled them. Convert your network into a profitable business. Multisite users can be charged for the subscription or for developer services. It depends only on developer how often their customers should pay. Will it be one-time payment, monthly or yearly payments. The scheme is really simple – more customers-more profit. You can also enable some plugins and themes for all customers and some plugins and themes for a selected group of clients and sell the usage of these products for an additional price. How multisite super admin and admin dashboards are different. Only the super admin has the access to the MotoPress plugin license, so he is the only person who can activate, deactivate and update it. Site admins have access only to MotoPress Options and to the Content Editor sections. In a super admin dashboard you can see some extra opportunities for managing the network of sites. Here you are able to see the existing sites and users, add more users, create new sites and manage them. Admin’s dashboard doesn’t offer such possibilities and is very similar to a standard WordPress site. While working on your main site you’ll create and manage sub-sites, install and activate themes, install and deactivate plugins and running updates. The process of managing is no different from a usual WordPress site customization, so you’ll quickly get used to confidently manage multiple WordPress sites. 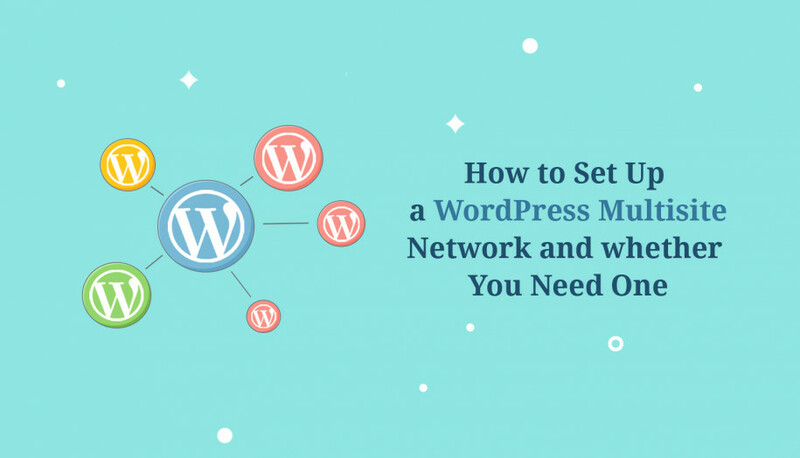 We won’t describe how to install and set up multisite network, as there are tons of step by step guides and detailed articles how to activate this feature in your WordPress, they can be easily found in the Web. If you have any questions about using MotoPress in multisite network of websites, feel free to ask them in comments. This all sounds wonderful, but it seems to conflict with the T.O.S. I want to love this plugin, but the terms are really sketchy on this subject. A site like Edublogs would seem to fall out of grace with this plugin, no? Hi Corey, thank you for your comment and the intention to love MotoPress plugin 🙂 When we are talking about MotoPress multisite compatibility, we mean that the developer who uses the developer license makes MotoPress available as a visual building tool only for the users of his WPMU network. If you want to provide the plugin as a part of your project, like Defrozo marketing Platform does, we need to discuss the terms of the plugin usage individually. And what about the “Domain Mapping Configuration” (Remote Login, …)? Is MotoPress running now with every kind of setting? In the past it was not possible to enable “Permanent redirect” what causes problems with double content (SEO!). These are two different domains. Let me know what you think or if you have suggestions. Is it the same price for MOtor Press Plugin on multisite use? Thanks. Yes, the price is the same while MotoPress supports WPMU by default. We’d recommend Dev version to avoid future conflicts with domains.